Lebanon NH At 1206 hours the Lebanon Fire Departments was dispatched to Box 2535, Victor Technologies at 82 Benning Street. Upon arrival of West Lebanon Truck 2, personnel reported a smoke condition at the eaves of the building. The assignment was upgraded to a 1st Alarm Assignment. Upon further investigation and entry, personnel encountered a heavy smoke condition and found a fire in a portable metal dust collector. The fire was quickly extinguished and personnel performed extensive overhaul operations. The fire was contained to the equipment, but the entire building suffered heavy smoke damage. The fire was declared under control at 1239 hours. Personnel remained on scene until 1405 hours removing smoke. 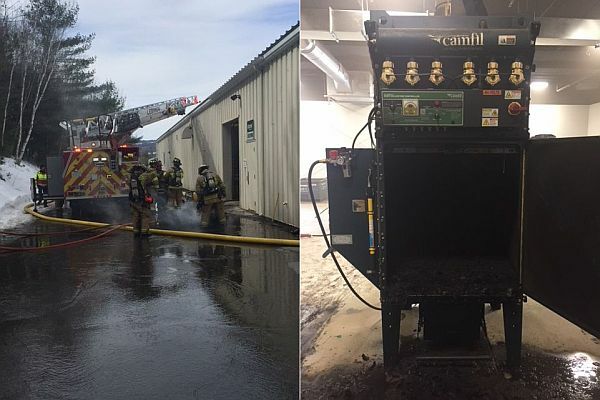 The cause of the fire was determined to be accidental and by overheated metal dust causing large paper filters in the dust collector to combust. On site personnel attempted to extinguish the fire prior to notifying the fire department and there were no reported injuries. The Hanover, NH and Hartford, VT Fire Department assisted on scene and the Enfield Fire Department provided station coverage.